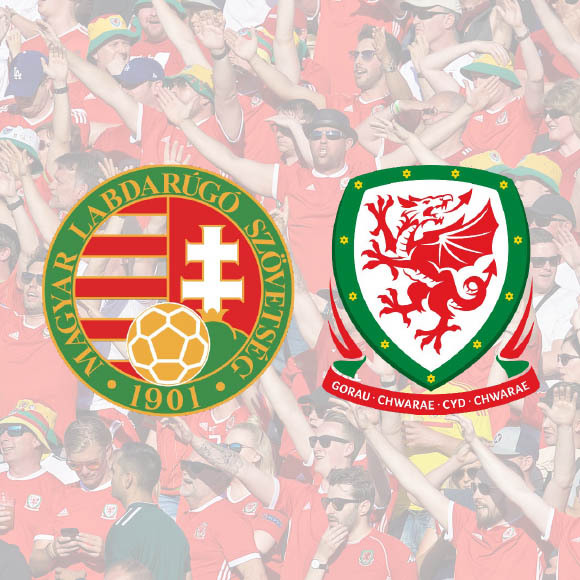 We’re going to Hungary as Wales look to qualify for the Euro 2020 finals which take place across Europe next year. Day 1 – 10th: Late direct flight from London Heathrow to Budapest, arriving just after midnight. Transfers from the airport to the hotel. Day 2 – 11th: Match day. You make your own way to the game, unless it is played in another city where we will provide transport at a small extra cost. Day 2 – 12th: Free day to spend at your leisure. Day 4 – 13th: Transfer from the hotel to the airport to catch our evening direct flight back to London, arriving late evening. Return flights from London Heathrow, minimum 3* hotel with breakfast and return airport transfers. Saver price: from £456 per person plus £4 per person booking fee. Single travellers or groups with odd numbers will have a £125 single supplement charge for the rooms – we’re not being given any wriggle-room to bring it down. Order of sales: Early Bird (from £432 – SOLD OUT ) then Saver (from £456), Full Price (from £480) and then On Demand dynamic pricing. Each category will progress after a certain number of bookings or date is reached, whichever is sooner. From 1st March only full payment up front will be accepted for new bookings. Flight and hotel room upgrades available on request and at an additional cost.There is not a room only option as the hotel automatically includes breakfast and there is no separate price on offer without it. Please be advised, due to it being summer and a major conference taking place in Budapest at the same time, hotel occupancy is at a premium and prices are higher than normal. We will continue to search for additional hotels in a bid to bring the cost down.